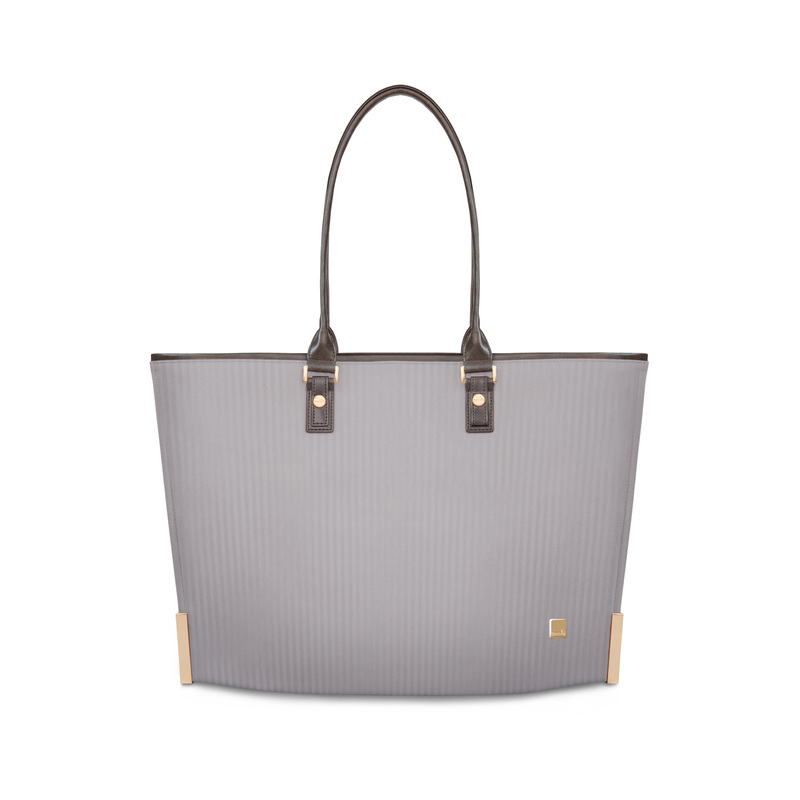 The perfect tote to bring you from day to night. 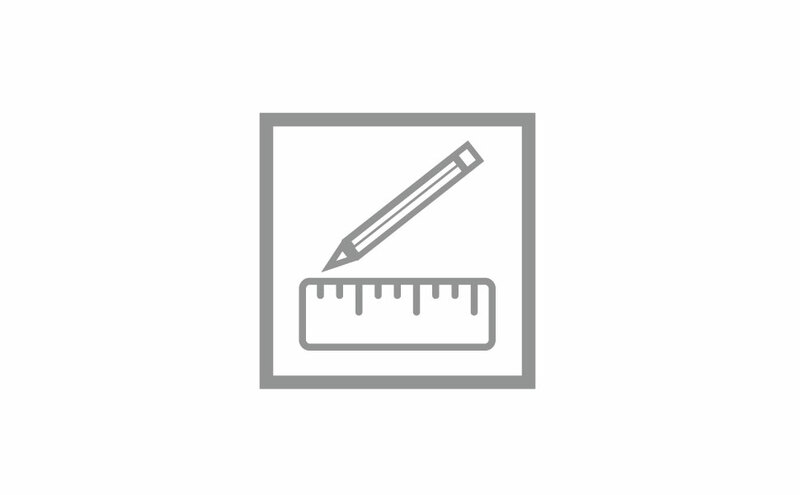 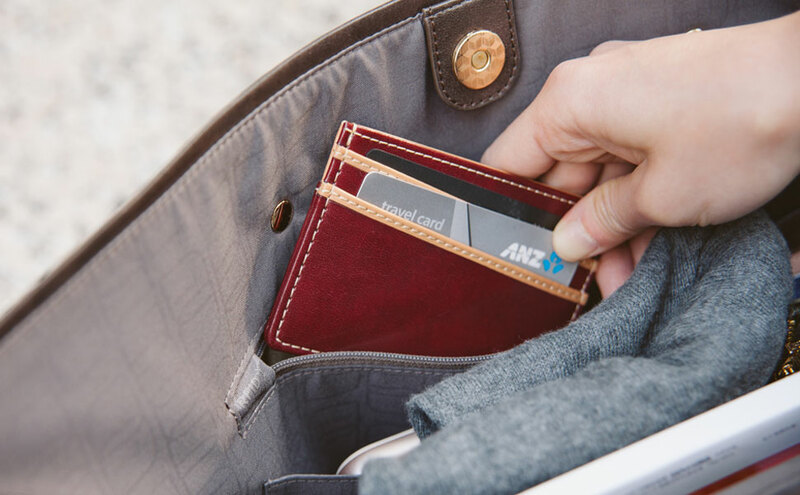 A slim silhouette fits laptops up to 13" and includes an RFID Shield pocket to secure your data. 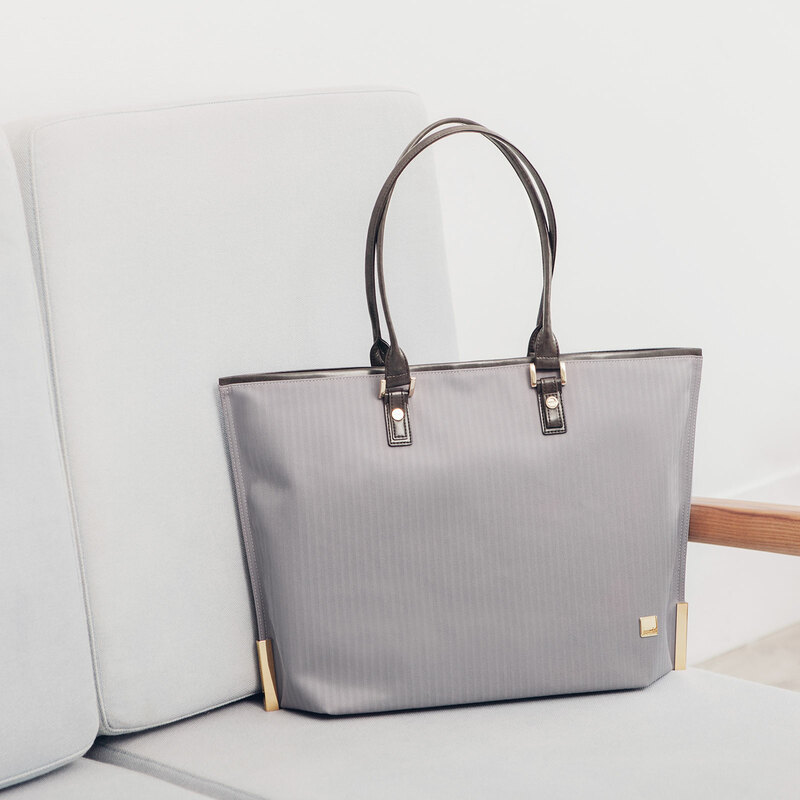 Quietly sophisticated, Aria is perfect for shoulder pain-free commutes to work, or drinks with friends. 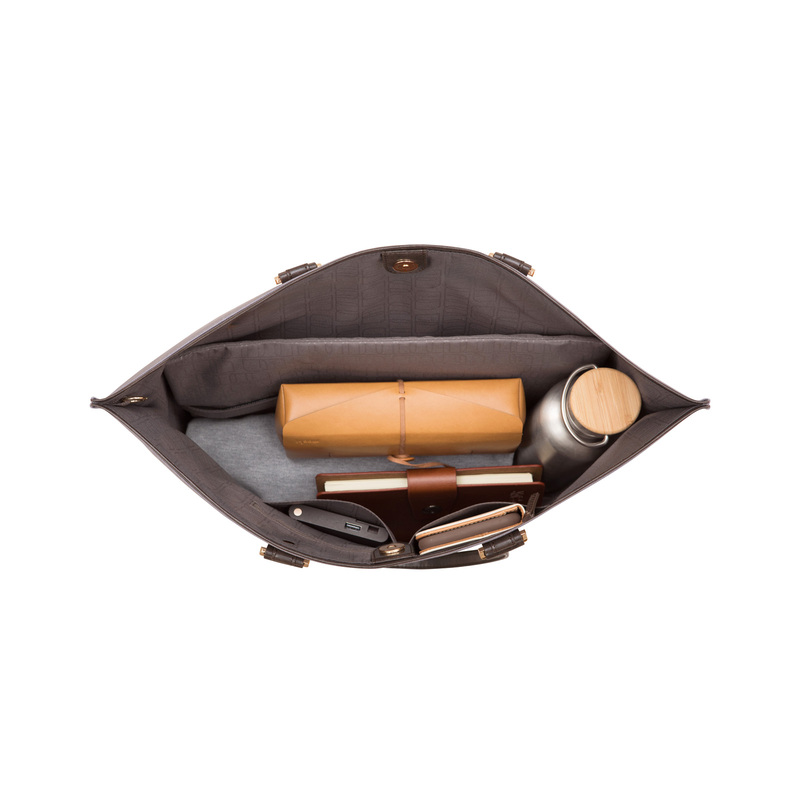 Comes with a padded laptop sleeve to protect laptops up to 13". 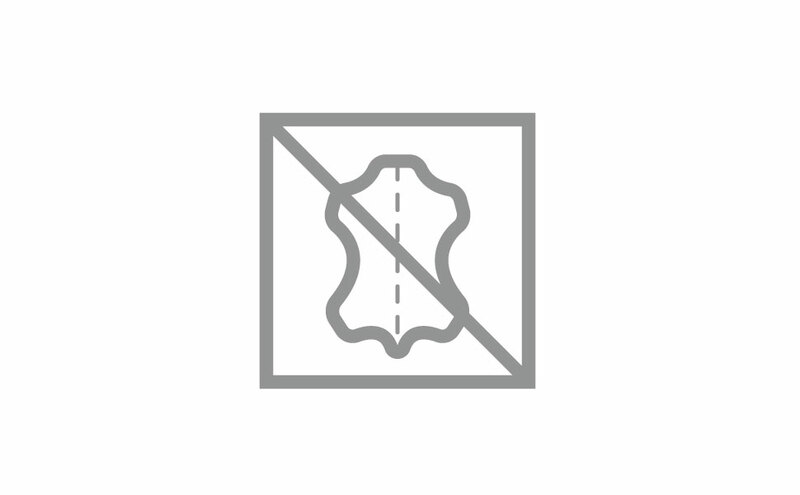 Lays flat in your suitcase for compact packing. 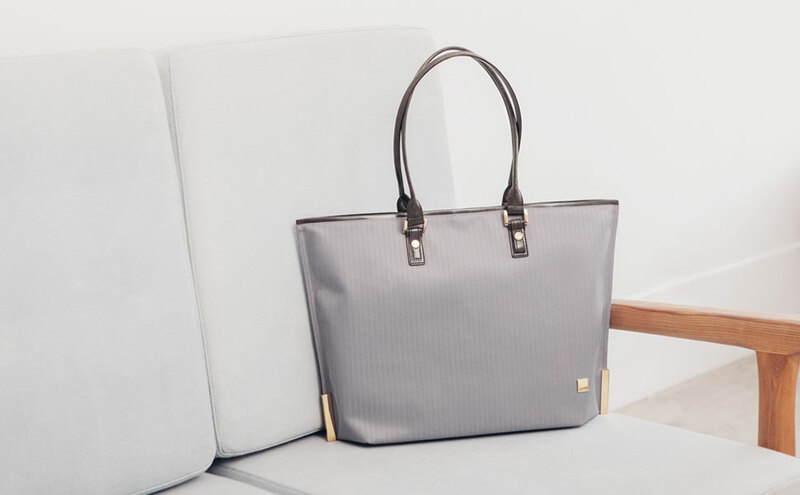 Aria is adorned in a sophisticated twill with sleek and minimalist details such as vegan leather accents and golden hardware and studs. 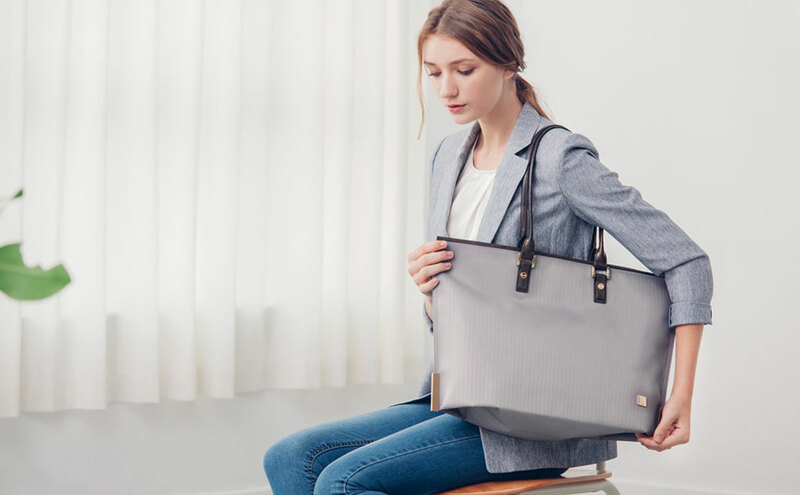 Aria infuses Moshi's background in design and technology to create stylish bags that carry all of your essentials in style. 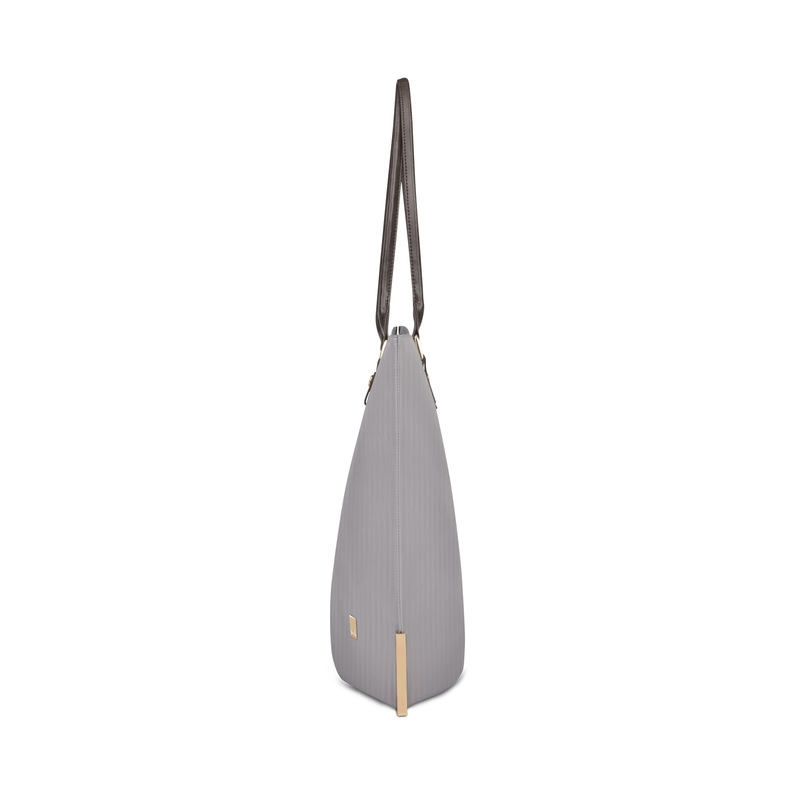 Crafted from animal-friendly vegan leather, the carry-strap is ideal for those amongst us seeking an ethical wardrobe. 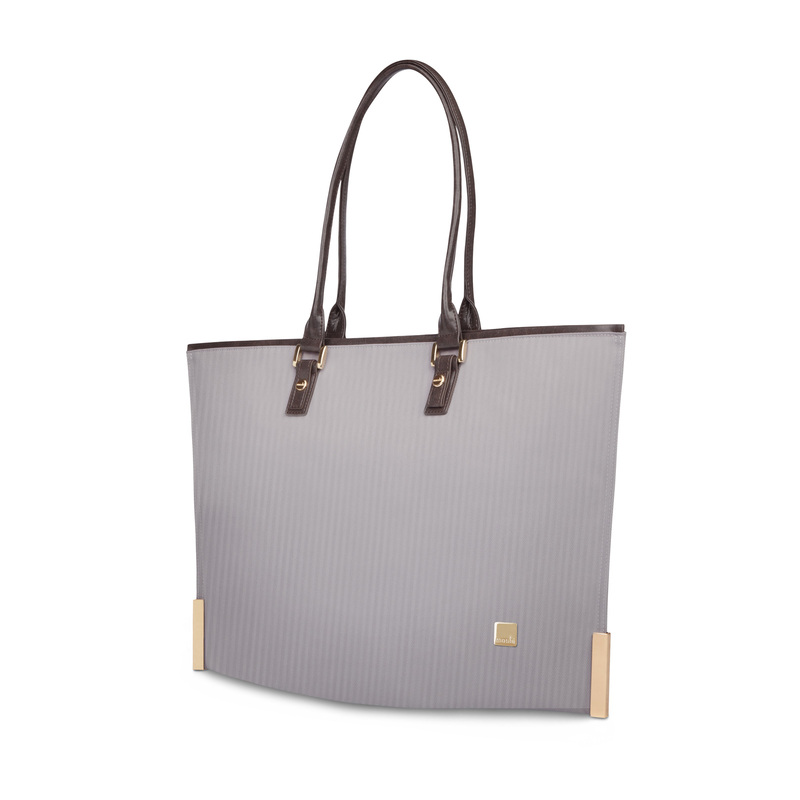 Moshi’s Aria is a sophisticated, lightweight tote designed for women who love looking effortlessly chic. 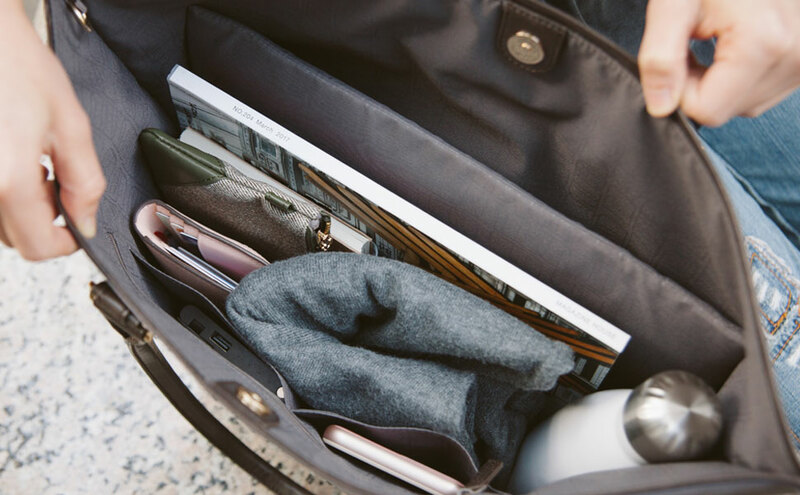 Aria is enriched with thoughtful organizational components, including a padded laptop sleeve to protect devices up to 13", and an RFID pocket to ensure your personal data stays secure. 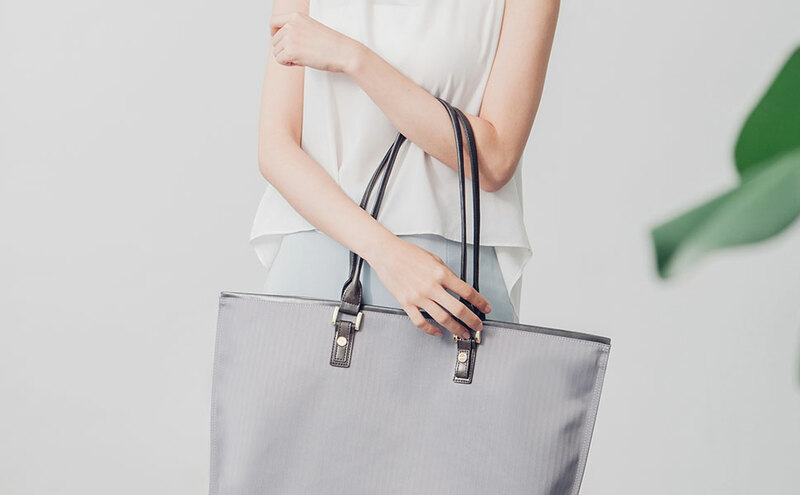 Modern and elegantly slim, Aria is the go-to bag for every occasion from a work meeting to casual brunch with friends.